Initiate with BUY and SGD0.59 Target Price (24% upside), as CSE is poised to deliver CAGR of 16% over FY17-20F. Dividend yield of 5.8% is also attractive. CSE provides system integration solutions in control, communications and security. We believe elevated oil prices will encourage more system integration activities in the oil & gas space, which makes CSE an excellent proxy as > 65% of its revenue is derived from the sector. CSE Global is trading at 12.7x FY19F P/E, a 22% discount to the industry. CSE is a global systems integrator, focusing on the provision and installation of control systems, as well as communications and security solutions targeting the oil & gas, infrastructure and mining industries. CSE has an international presence spanning the Americas, Asia Pacific, Europe, Middle East and Africa regions. Currently, the company operates a network of 39 offices in 17 countries with a team of 1,036 employees. CSE commenced operations in 1985 as the engineering projects division of Chartered Electronics Industries, the electronics arm of Singapore Technologies (ST). In 1995, the Singapore Government spun off some of the business units to list by itself and be independent. Hence, the Government encouraged employees to buy over the shares. Tan Mok Koon, the founder, together with six of his employees bought out the majority stake in the company in 1997. The company was listed on the SGX in Feb 1999. Lim Boon Kheng was appointed as the group CEO in 2013. Prior to his promotion, he was the group CFO since 2002 and is concurrently the managing director for CSE’s Asian business. CSE provides process control solutions that utilise supervisory control and data acquisition systems (SCADA), distributed control systems (DCS), programmable logic controllers (PLCs), motors, drives and plant transducers. Many of its mission critical solutions are used in high integrity environments such as oil & gas, power and nuclear installations, with client processes being wholly dependent on the control systems. Safety shutdown system: emergency shutdown systems, process shutdown systems and integrated control & safety systems. CSE designs, installs and maintains 2-way radio communications for both permanent and temporary locations. CSE offers turnkey packaged solutions or will provide rental and managed systems. CSE’s 2-way radio systems offer the latest in personnel safety management and personnel tracking, location and “man down” alert systems. CCTV, access control & FIDS systems. Example of communications project involvement: CSE Transtel scope of work – Design, supply & interfacing of fibre optic IP backbone network for signalling and data communications, for security CCTV systems, TETRA Radio communications, emergency telephone systems, station PA systems, and passenger information systems serving 16 stations and depots. CSE’s top three customers contributed about 10-20% of total revenue. The list of clients includes blue chip companies like Shell, BP, Exxon and Chevron, which have market capitalisations of USD100bn-350bn. CSE is also working closely with national oil companies like Petronas. For the infrastructure segment, CSE mainly deals with the Singapore and Australian Government agencies such as the Land Transport Authority of Singapore and MINDEF. Serba Dinamik emerged as a substantial shareholder in an exchange filing dated 13 Apr 2018. 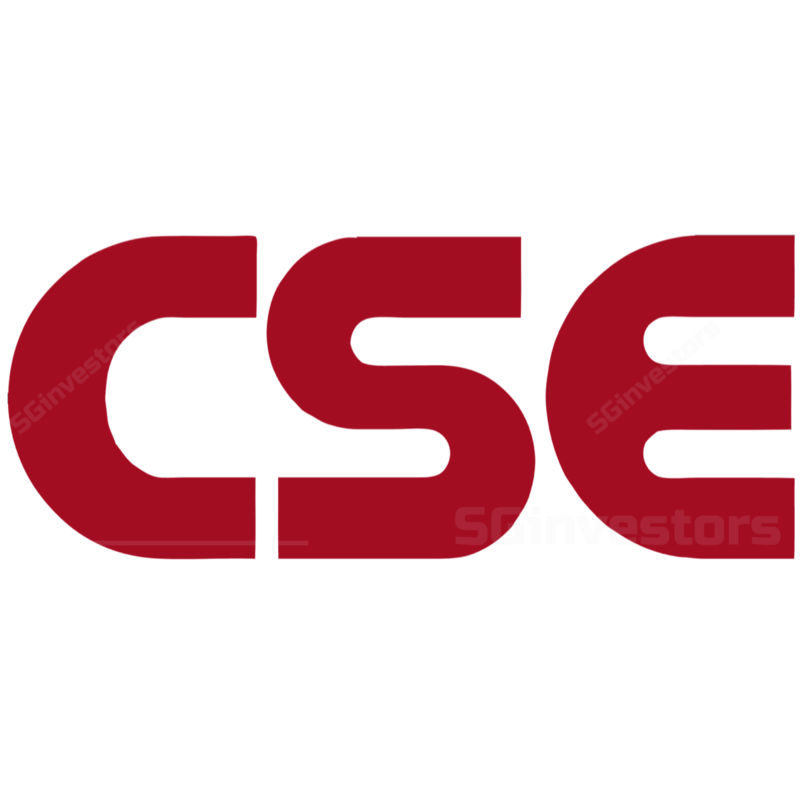 Serba Dinamik acquired a 24.84% stake in CSE from eight shareholders at SGD0.45 a share, or approximately 20% premium to the market price traded during that time. This acquisition opens up new possibilities for CSE to further its reach to the Middle East and Malaysia where Serba Dinamik has a strong presence. Following the acquisition, Serba Dinamik’s CEO, Datuk Ir. Mohd Abdul Karim Abdullah was appointed as the non-executive, non-independent director director and deputy chairman of CSE. Mr Syed, group CFO of Serba Dinamik was appointed as the non-executive, non-independent director. CSE is a part of the international consortium that developed the technology behind the world’s first multi-lane, free-flow ERP system for the Singapore Government. It is also one of the few qualified vendors to provide high-level security solutions to Singapore and Australian Government agencies. Projects include the provision of control, communications and security solutions to the correctional facilities and airports in Australia. A strong track record enables CSE to be in better position to clinch more private and public projects, in our view. Elevated oil prices provide potential opportunities. CSE provides integrated process control solutions such as safety shutdown systems and fire & gas detection systems to its oil & gas customers, forming > 65% of total revenue. It operates in the Permian and Eagle Ford shale basins, which together with the Bakken field, account for 81% of total shale oil production in the US. Management is looking to expand (organically or inorganically) its current operations in the Permian and Eagle Ford basins as well as venture into new locations with the focus on getting more small greenfield and brownfield projects. We believe greater presence and potentially higher contract wins will sustain earnings growth momentum. Further upside includes large greenfield contract wins when projects pass the FID stage. Successful in growing revenue from onshore oil & gas segment. During the downturn in the oil & gas industry, management succeeded in growing its onshore revenue, and achieved a revenue mix of 50% offshore and 50% onshore in FY17, vs 90% offshore and 10% onshore in FY15. Revenue from the onshore oil & gas segment grew to SGD123.1m in FY17 from SGD34.5m in FY15. Even so, it was not enough to offset the significant decline in offshore revenue, which fell to SGD123.1m in FY17 from SGD310.5m in FY15. Nonetheless, we believe CSE’s management has done well, and are optimistic that the strategy will continue to benefit the company in the future. Going forward, management will likely actively pursue smaller greenfield and brownfield projects in the absence of larger greenfield projects. Poised to benefit from Australian Government’s infrastructure investments. As part of its strategy to strengthen the economy and beat congestion, the Australian Government plans to invest AUD75bn over the next ten years. CSE is in an excellent position to participate in the ongoing/upcoming infrastructure projects given its strong track record. We understand from management that it is currently bidding for large projects in the infrastructure segment in Australia and Singapore. Potential acquisitions to fuel growth. Acquisitions have always been part of CSE’s growth strategy. The company has a track record of executing acquisitions successfully since year 2000. While management is actively engaging and participating in securing large infrastructure projects, it also expressed interest in looking for acquisition targets to add on to its geographical coverage, with potential expansion into second tier cities in uisitions. We believe any accretive acquisitions priced at USD5-10m will likely boost NPAT by 5-10%. Strong earnings recovery in 1H18. 1H18 results affirmed the robust 1Q18 results, and we believe it will follow through for the rest of FY18 and into FY19. 1H18’s performance has shown that the company’s performance is improving following the decline in recent financial years, impacted by the downturn in the oil & gas sector. Going forward, the management’s strategy is to continue looking for smaller green and brownfield projects, as well as bidding for sizeable infrastructure projects to fuel organic growth. It is currently working on two greenfield projects it secured in FY17, with revenue to be recognised in FY18 and 1Q19. We believe the worst is over for CSE, and that kitchen-sinking has largely been completed. CSE recorded SGD58.5m worth of exceptional items in FY17, which included an impairment of goodwill of SGD27.95m, and an allowance for doubtful trade receivables of SGD11.7m. We think there is minimal downside surprise as we understand from management that the majority of impairment has been completed. Expanding geographical reach through Serba Dinamik’s existing network. In Apr 2018, CSE had a new substantial shareholder in Serba Dinamik, after the latter purchased shares from eight of CSE’s shareholders. Around the same time, Serba Dinamik’s CEO, Datuk Ir. Mohd Abdul Karim Abdullah was appointed as non-executive, non-independent director. Serba Dinamik is ranked third in terms of market share for maintenance, repair and overhaul (MRO) services related to rotating equipment in Malaysia, and its client base includes national oil companies such as Petronas and Saudi Aramco. We believe CSE would be able to tap on Serba Dinamik’s strong network and extend its services in the region. Asset-light business model with solid balance sheet. CSE operates on an asset-light business model, unlike its competitors, which are also manufacturers. Most of the projects are made-to-order, and therefore, do not require CSE to incur a huge amount of capex or carry substantial inventory. With a healthy net cash balance of SGD20.9m (as at 30 Jun 2018), and forecasted positive cash flows of over SGD25m pa, CSE has ample resources to execute its growth strategy as well as support its dividend payout, which offers an attractive yield of 5.8%. Approximately 60-65% of CSE’s revenue in FY17 was recurring in nature, which we believe gives high earnings visibility. Under normal circumstances, maintenance contracts are valid for 1-2 years, and on auto renewal basis. In addition, being the project owner helps CSE to create a sticky relationship with its revenue is derived from monthly maintenance services, which are accounted for and billed to clients on a monthly basis. Momentum in order intake is maintaining. 2Q18’s order intake has gained momentum and reverted to SGD89.1m from SGD68.9m in 1Q18. We understand from management that CSE’s strategy going forward is to bid for smaller greenfield and brownfield projects to mitigate the lull in large greenfield projects from the oil & gas sector. It is also actively pursuing large infrastructure projects to grow its infrastructure segment in both Singapore and Australia. the order intake of SGD70-90m every quarter. The company implemented a performance share plan in 2017. The objective is to align the interests of its senior management with shareholders’ interests. We deem this as a positive step to create long-term shareholders’ value. With the share buybacks, the incentive structure will shift to part cash, part shares, from 100% cash. The share buyback mandate does not exceeding 5% of the total issued shares of the company. As at 30 Aug 2018, the company bought back 7.18m ordinary shares, which constitute 1.4% of total shares. Although it does not have a fixed dividend policy in place, CSE has all this while been consistent in paying out dividends to shareholders. Even in its worst performing financial year (FY17’s core operating profit: SGD13.3m), CSE continued to reward its shareholders with SGD0.0275 of dividend per share, which translated to a 107% dividend payout ratio. With a more positive outlook, coupled with contracts reaching its billable milestone, we are optimistic that it is able to sustain its dividend payment. In its results release for 1H18, the company announced its intention to maintain its full-year dividend of SGD0.0275 per share. At the current price level, this translates to an attractive yield of 5.8%. Refer to the 24-page PDF report attached below for complete industry overview, business analysis, financial exhibits, valuation details, financial forecast, peer comparison, key risks and more. Initiating coverage with BUY and Target Price of SGD0.59 DCF-derived Target Price of SGD0.59, with WACC of 10%. We initiate coverage on CSE with a DCF-derived Target Price of SGD0.59, and recommend BUY. Our Target Price implies a 15.7x FY19F P/E. The stock is now trading at about 12.7x FY19F P/E, with an attractive dividend yield of 5.8%. Terminal growth rate of 0%.